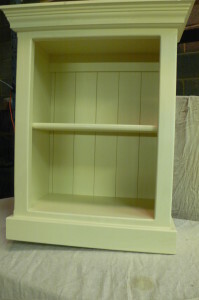 A lovely simple Cream Top Cupboard With Open Shelf. A staple for your country style kitchen. This shaker style top cupboard has one open shelf, perfect for displaying all your favourite bits and pieces, and is painted throughout in cream but please feel free to choose your own favourite colours.